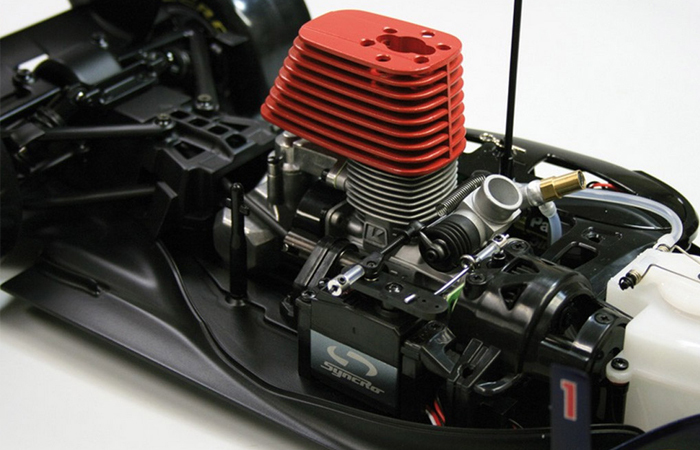 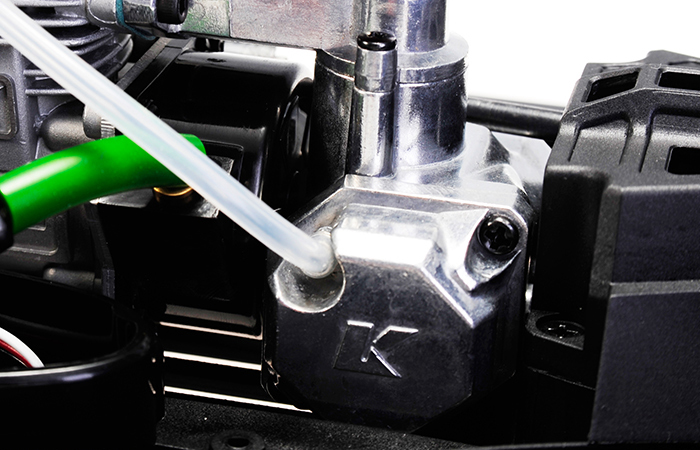 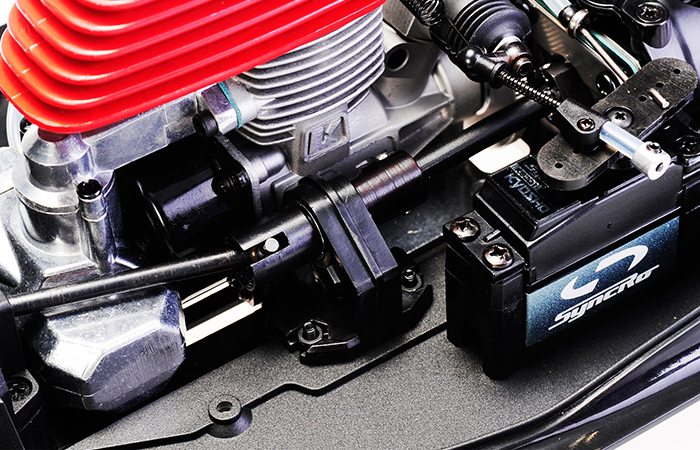 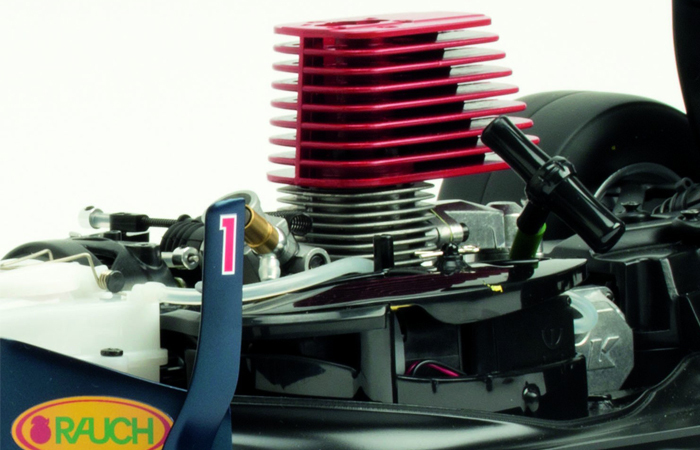 - 3.5cc nitro motor, with a powerful 1.8 horsepower Kyosho GX21 engine. 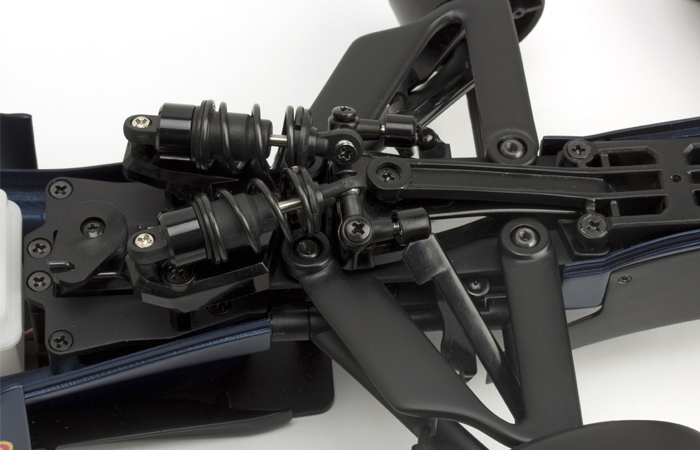 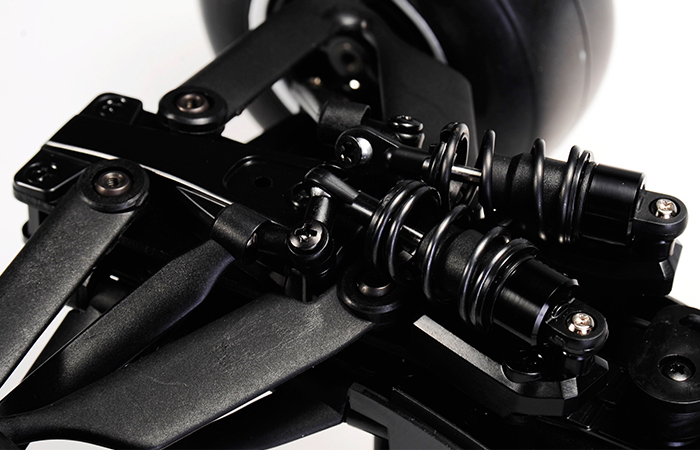 - Race-proven chassis that adjusts to match a driver or specific track. 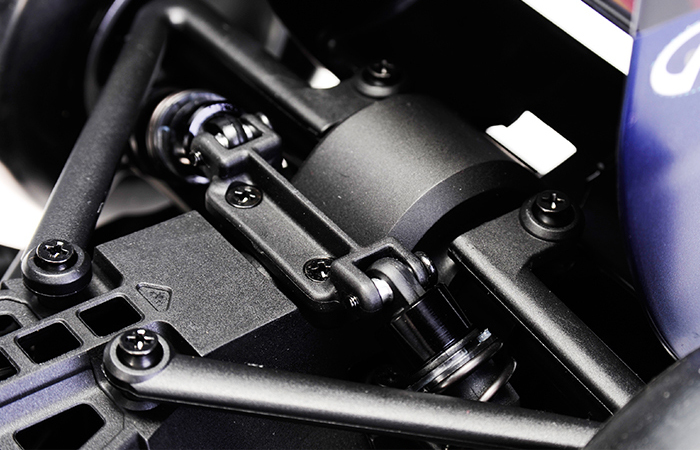 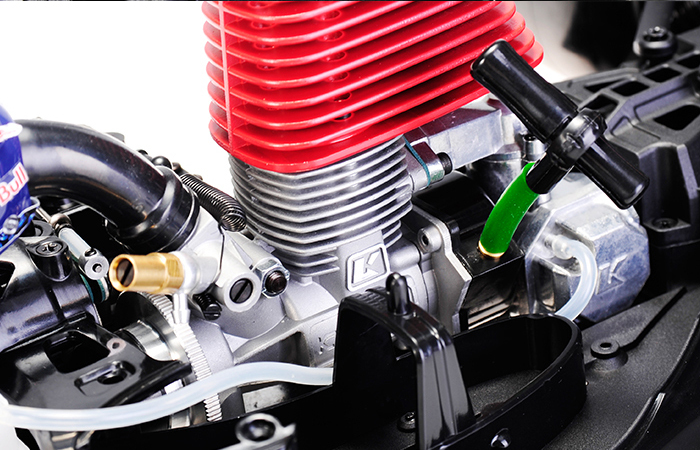 - Four hydraulic dampers; the front dampers open diagonally via pushrods. 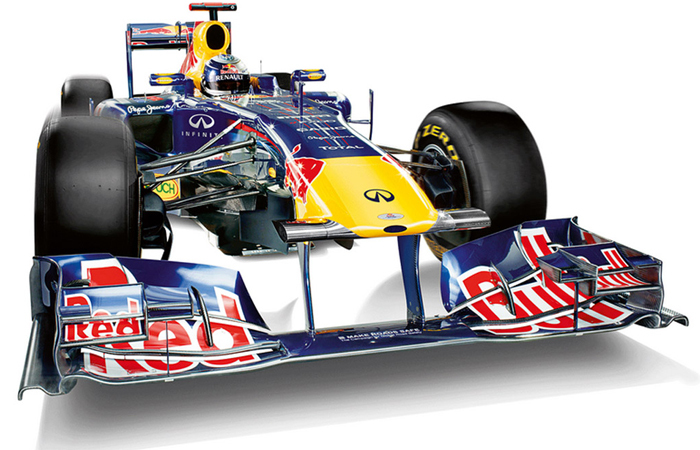 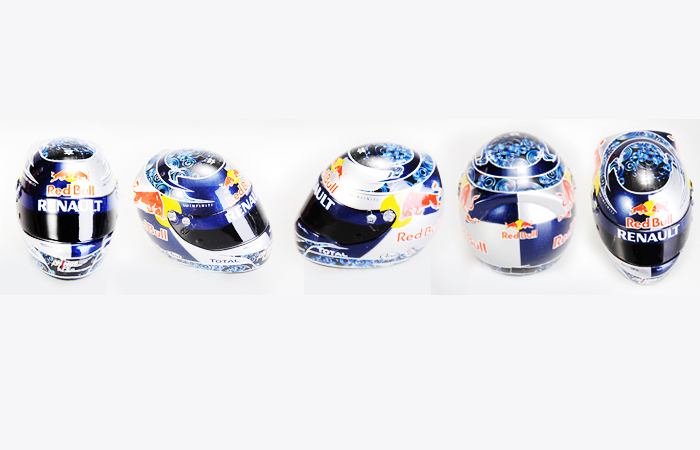 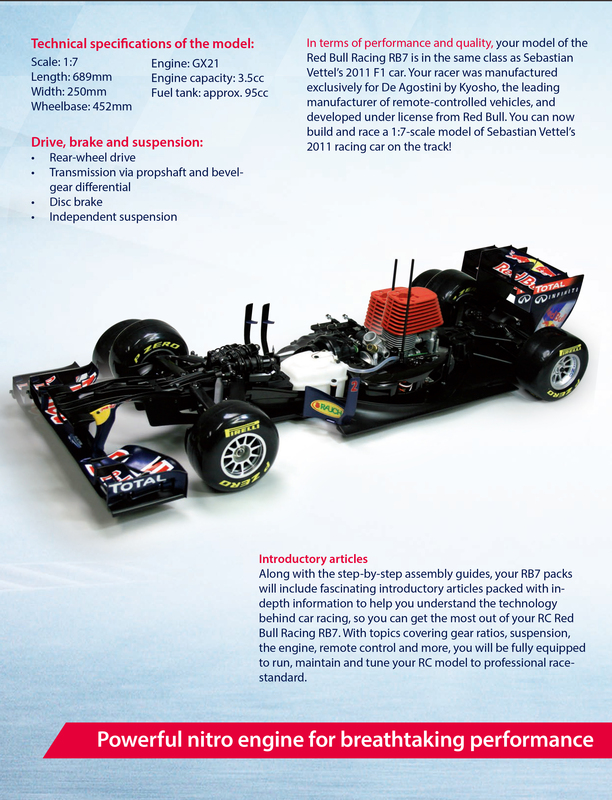 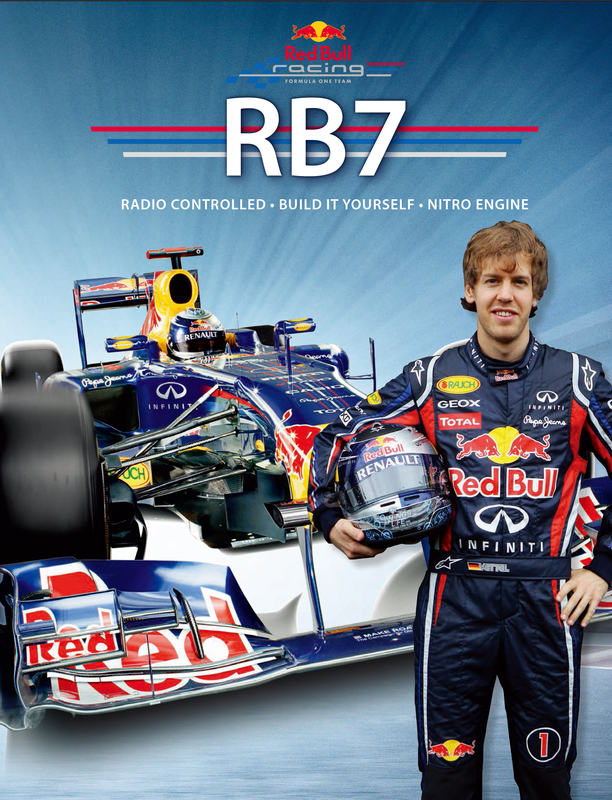 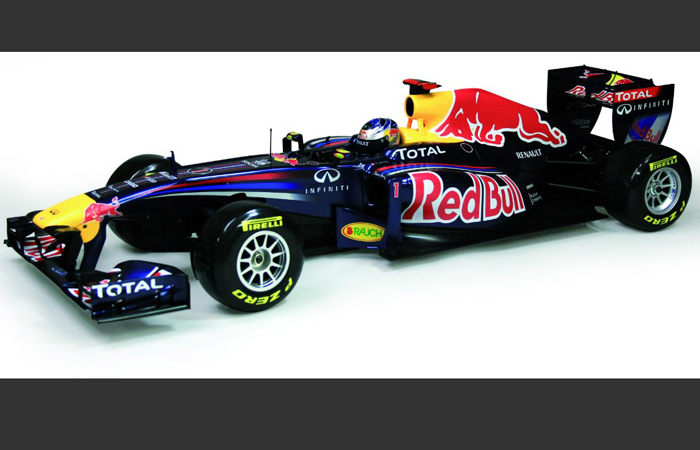 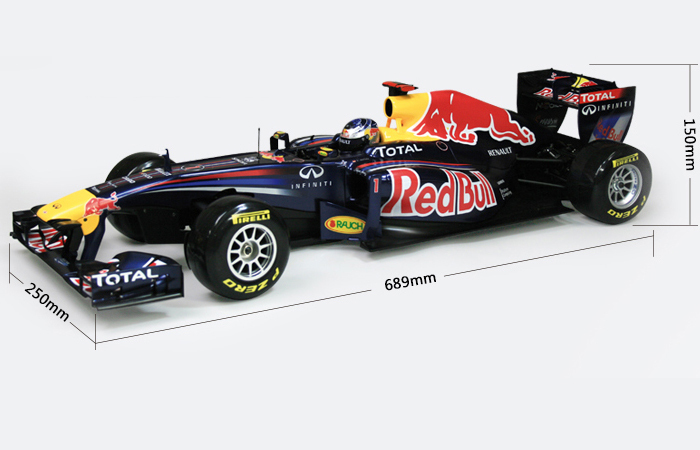 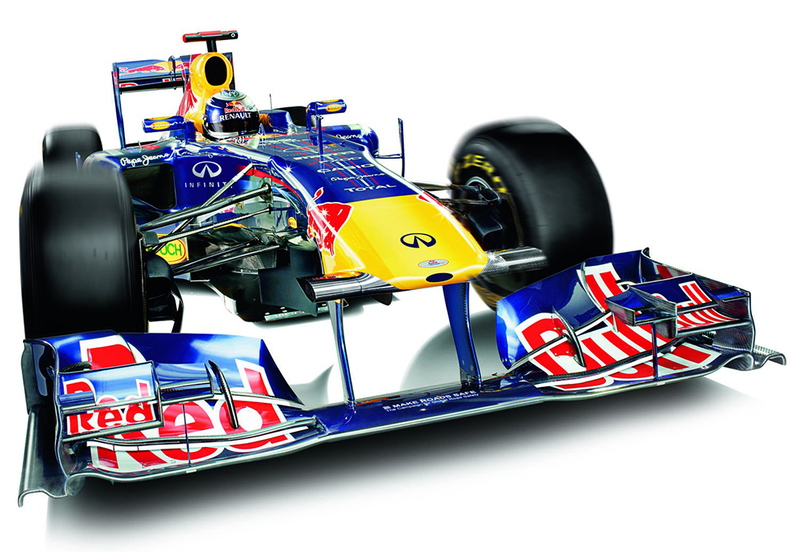 - The Red Bull Racing RB7 model is 689 x 250 x 150mm (27.13 x 9.84 x 5.90 inches) with its bodywork fitted. 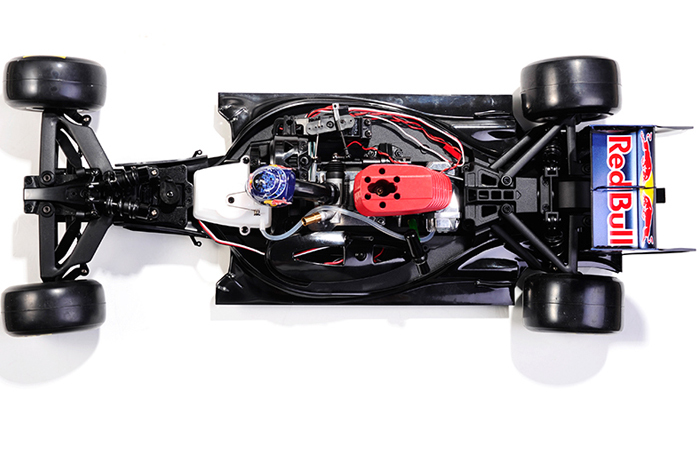 - 1:7 scale - 3.5cc nitro motor - Powerful Kyosho GX21 engine - 1.8 horsepower - Four hydraulic dampers - Kyosho Syncro digital remote system - Fuel tank: approx 95cc. 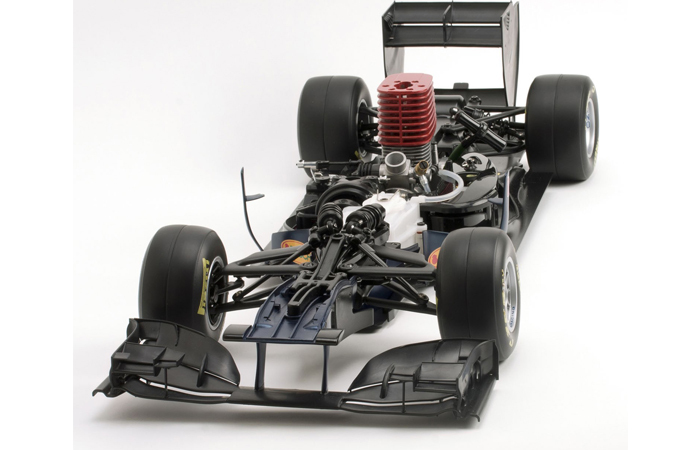 - Length 689mm � Width 250mm � Wheelbase 452 mm. 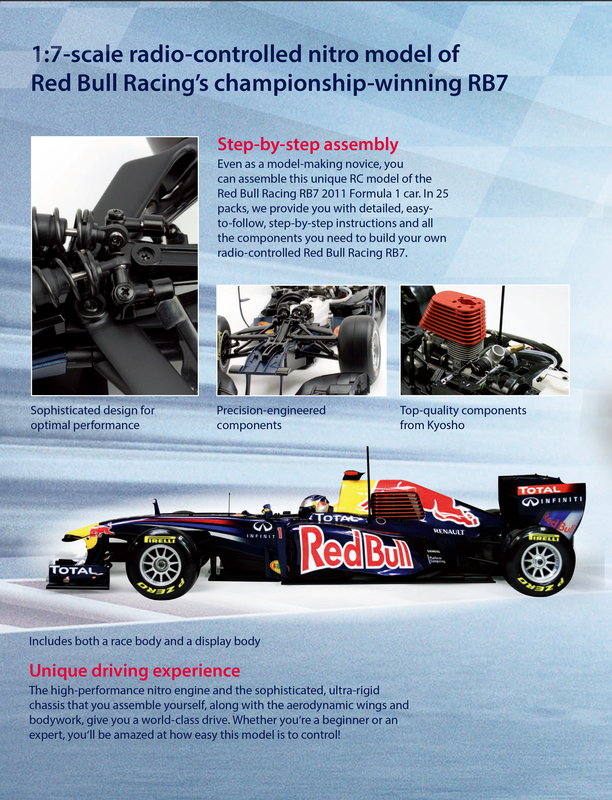 - Kyosho 1:7 Scale Red Bull F1 Racing RB7 Gas Powered (RC Formula One Car Full Kit) Build Manual, Click the blue text to view.